Adobe XD is built to meet the needs of today's UX/UI designers, with intuitive tools that deliver breakthrough precision and performance and make everyday tasks feel effortless. Adobe Dimension CC makes it easy for graphic designers to create high-quality, photorealistic 3D images.It composites 2D and 3D assets to build product shots, scene visualizations, and abstract art. Adobe Acrobat DC means a more seamless experience for your users, fewer hassles for your IT team. Visually design and develop modern, responsive websites. The world’s most complete toolset for web designers and front-end developers lets you create, code, and manage websites that look amazing on any size screen. Complete, free-form control so you can create visually and easily express your web development ideas. Adobe Audition and audio editing software and is one part of Adobe's Creative Suite of software products. Adobe Character Animator CC is a motion capture and animation tool that gives everyone an accessible solution for intuitive 2D character animation, live animation, and easy character sharing and publishing. Adobe Story is a collaborative script development tool from Adobe Systems Inc. It includes scheduling tools, allowing schedules to be created from one or many scripts. Adobe Fuse (Beta) 3D modeling app lets you quickly create unique human characters for your Adobe Photoshop CC images, designs, prototypes and more. 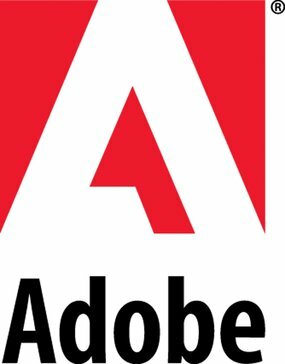 Adobe Sign is the top e-signature solution allowing businesses to have a 100% digital workflows that’s trusted, legal and secure both in the office and on the go. Adobe PDF Pack is a bundle of Adobe Document Cloud services that allows you to convert documents and image files to PDF, combine multiple documents into one PDF and export PDFs to editable Word, Excel, PowerPoint, or RTF formats. Adobe Export PDF makes it easy to convert PDFs to Microsoft Word or Excel for editing and supports DOC, DOCX, XLS, XLSX, and RTF formats. Adobe Send and Track is an Adobe Document Cloud Service that you can use to send files as links, track files you send to individuals, and get confirmation when files are viewed.